The sheer scale of the Speed Blitz becomes apparent as German police plead enough – but their colleagues in Lithuania deploy a dastardly ruse to keep numbers up. As expected, the number of drivers caught out during last week’s ‘Speed Blitz’ in Germany was well down on last year. Around two million drivers were tested and 72,063 tickets handed out. But that is considerably less than the 3.255 million tested last year and the 91,000 offences detected (also down on the 93,000 tickets issued in 2014). Nevertheless, the average proportion of drivers caught speeding rose to 3.6 percent this year, up from 2.8 percent in 2015. The highest was in Schleswig-Holstein in the north at 4.7 percent. According to the ADAC, one driver concentrated so hard on his speedo he missed two red lights. A truck driver was caught on the phone to a dispatcher warning him about the anti-speed operation. This year’s take in Germany was so paltry because six states refused to take part, apparently because they are too stretched by the migrant crisis. That’s no surprise considering the substantial resources employed in the 16 hour campaign which ran from 6am until 10pm last Thursday. More than 7100 officers set up nearly five thousand control points according to EU police federation TISPOL. That was not matched by any of the other 21 countries also taking part though their commitment was still substantial. Hungary deployed 857 officers at 613 sites who detected 3690 offences. Similarly there were 707 Belgian police on the job who picked up 4317 offences at 907 control points according to the Federal Police. Meanwhile in Romania – which is currently struggling with the EU’s highest traffic fatality rate – 270 police caught a shocking 6601 speeders. That’s a ticket-per-cop ratio of 24.4 (compared to 10 in Germany, 4.3 in Hungary and 6.1 in Belgium). Meanwhile everyone was outdone by Lithuania which is also struggling with road safety. Just 100 police nabbed 4303 speeders, an incredible average strike rate of 43 each. 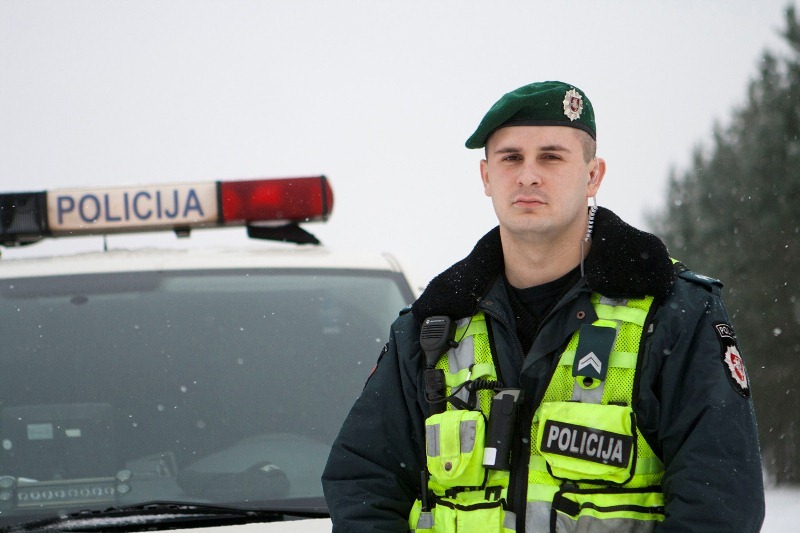 Controversially however, Lithuania employed a zero tolerance attitude to speeding for the operation. Even 1kmh over the limit was enough to warrant a fine according to Lithuania Tribune.